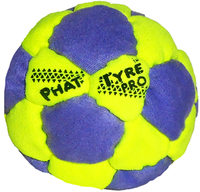 The Trojan footbag is a great all around footbag that is good for stalls as well as all around kicking. 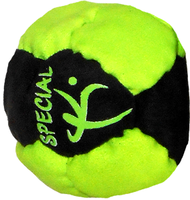 Twenty panel construction means lots of great color combinations and will win over any footbag entusiast. Get yours today at our introductory price. I've seen many hacky sacks but nothing ever like this. The sand and "secret sauce" mixture feels so nice and even. But I don't know how durable it is because I just got but it seems like it will hold up nice!